The Habeas Citebook: Ineffective Assistance of Counsel is a neatly-organized resource designed to assist litigants in advancing claims of ineffective assistance of counsel, the most common claim presented in post-conviction, habeas corpus proceedings. Citing cases from the United States Courts of Appeals and United States District Courts, both published and unpublished, The Habeas Citebook breaks down ineffective assistance of counsel cases into 40 categories. 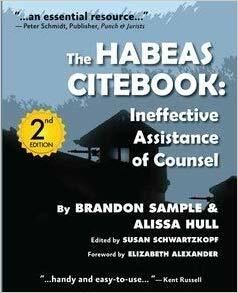 From cases describing lawyers failing to investigate a defense, to conflicts of interests and misadvise on appeal, The Habeas Citebook is an essential resource for those examining former counsel’s performance, as well as for the formulation of well-supported claims of ineffective assistance. The Habeas Citebook also contains extensive resource information for the prisoner putting together a habeas petition or other collateral attack on their conviction, including various rules and procedural codes in their entirety, sample briefs, and informed advice on procedural matters. As one would expect from a text published by Prison Legal News, The Habeas Citebook is a quality, well-researched resource for both prisoners and attorneys alike. Buy The Habeas Citebook on Amazon. Paperback, 259 pages. Written by David L. Mathis and Brandon Sample, Esq. The President of the United States and the Governor of each state are empowered to grant pardons and commutations. A pardon can eliminate the collateral consequences of a conviction. A commutation can reduce the length of a sentence. In general, a pardon is sought after release from prison. A commutation, on the other hand, is used by prisoners to lessen their sentence. This easy-to-read guidebook is designed to assist individuals who want to apply for a pardon or commutation of sentence. The guidebook gives practical information about the process for applying for clemency, what to include in your petition, and provides answers about executive clemency in general. 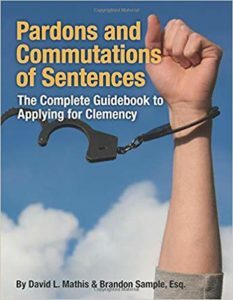 The guidebook is a "must have" for any individual who wants to navigate the complex process of applying for a pardon or commutation of sentence. Buy Pardons and Commutations on Amazon. 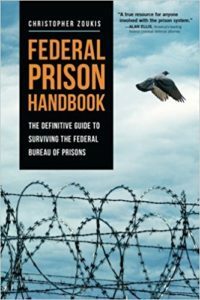 The Federal Prison Handbook is the definitive guide to surviving incarceration in a federal prison. This handbook teaches individuals facing incarceration, prisoners who are already inside, and their friends and family everything they need to know to protect themselves and their rights. The thorough information was compiled by someone who has first-hand experience with the federal prison system, as Zoukis served time at a federal prison. His insider’s view of this unknown world guides inmates through the mental stresses of confinement. Equally as important, he keeps readers physically safe by explaining how to avoid the near-constant conflicts found inside federal prisons. How to communicate with the outside world through telephones, computers and mail. Incarceration can be cruel for prisoners and their loved ones. Know what to expect and make the best of this time by staying safe, remaining safe, and building a life behind bars. Buy the Federal Prison Handbook on Amazon. Prison Education Guide is the most inclusive guide to correspondence programs for prisoners available today. This detailed book provides the reader with step-by-step instructions on how to find the right educational program, enroll in courses, and complete classes to meet academic goals. It is perfect for the incarcerated student who lacks internet access or the ability to attend educational classes in person. More than simply a guide to correspondence programs, Prison Education Guide provides readers with the roadmap that the author used to earn not only his high school diploma, but also his bachelors degree and Masters of Business Administration while behind bars. Whether seeking a college degree or a paralegal certificate via correspondence education, the Prison Education Guide profiles the programs available to achieve these goals, all of which are in a format that prison mailrooms and education departments will allow. 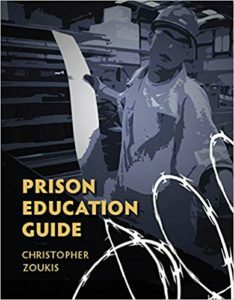 If you are a prisoner interested in earning an education from behind bars, Prison Education Guide is for you. This book can open the prison gates, and allow you to use your time in custody to your benefit, by furthering your education while on the inside. Earn a degree, get out of prison, and never look back. The Prison Education Guide can help you do just that. Buy the Prison Education Guide on Amazon.